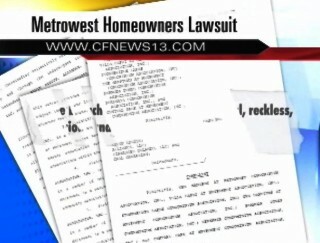 ORLANDO -- A group of MetroWest homeowners claim millions of dollars are missing and were misused. The homeowners said the former head of their association was using the extra money to fund personal projects. Mary Biddle has lived in MetroWest since 1989. "I was one of the original residents," Biddle said. "So when I got my dues bill in late '05, '06. Kelli, I was stunned that we had a 30 percent increase in dues, couldn't believe it and I started asking questions," Biddle said. She, along with several other residents, went straight to the property developer and then head of the MetroWest Masters Association Kevin Azzouz. The group sued to get a look at his financial records, and what they found was shocking. "Mr. Azzouz, who had a commercial development, was taking the money from the homeowners fund and using it for his commercial development to the tune of $2.5 million," said Phil Snyderburn, the homeowners’ attorney. Snyderburn contends in the 45-page lawsuit that it cost just over $700,000 for the yearly upkeep of the homeowners' common areas. However, Azzouz was taking in around $2.5 million. An audit showed the extra cash was funding Azzouz's new and financially troubled project at Veranda Park. "Our whole contention is we want our money back," Snyderburn said. The lawsuit claims "The breach was done in an intentional, reckless, malicious and willful manner." Shakarian, the new head of the MetroWest Masters Association, for inappropriately clearing Azzouz of any financial liabilities. "All this trouble, all this mismanagement of the association has dramatically hurt property values," Biddle said. The lawsuit is asking for an additional $5 million to cover those lost property values. News 13 attempted to contact Azzouz and Shakarian to comment on this story, but our phone calls were not returned. Those who live in the high-profile troubled neighborhood are just hoping to get all of this behind them soon. 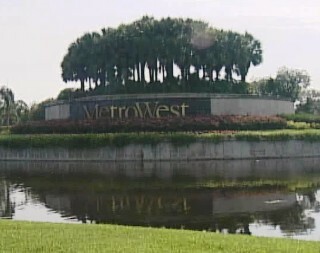 "We need to clean it up and once we do, I think you're going to see a resurgence of the great name of MetroWest,” Biddle said. This isn't the first time Azzouz has been in the news. 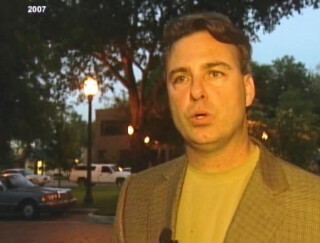 He filed for foreclosure protection in his Veranda Park town center in MetroWest. Eight contractors filed for more than $11 million in liens on the same property back in 2008. The property developer also made headlines for installing fake cameras in MetroWest in order to deter crime.